Welcome to the Creator Spotlight! Learn more about talented League of Legends creators. If you’re looking for more League in your life, follow these amazing individuals! Yougelly is a League streamer, aspiring graphics designer, and sippy cup connoisseur. Whether she’s hanging out with her dedicated fans or crushing mid lane with LeBlanc, yougelly is a rising star you should be watching. And what do you know, we asked her questions. Who are you? What got you into creating/crafting? My name is Sally. I'm 20 years old and I like to stream on Twitch. League of Legends was one of the first video games that I was really interested in. Shortly after getting into League, I was exposed to the Twitch community. In my free time, I loved watching a variety of different Twitch streamers and I couldn't help but notice how much fun it always seemed like they were having! Those streamers inspired me to start streaming myself. I love that streaming allows me to express myself, share my gameplay, and interact with my community. I'm from Southern California. The weather is always nice and sunny and I like that there are also a lot of attractions. I feel lucky that I live here because I usually don't have to travel far for conventions or special events, as they are often times held in California! I spent a lot of my free time on the computer while I was growing up. Having an older brother, I was naturally introduced to gaming. When I was in High School, League of Legends was extremely popular and a lot of my friends played. I decided to join in on the hype, and I haven't looked back since! I'm most proud of the time League of Legends asked me to live stream at PAX West at the Alienware booth. I thought it was a cool opportunity, as it was my first ever collaboration with Riot Games. The League staff was really friendly and helpful! Who’s your favorite champion and why? My favorite champion is Leblanc. She's an interesting and enjoyable champion because her skill kit allows her to use so many different combos. On top of that, she has mobility and high burst damage! 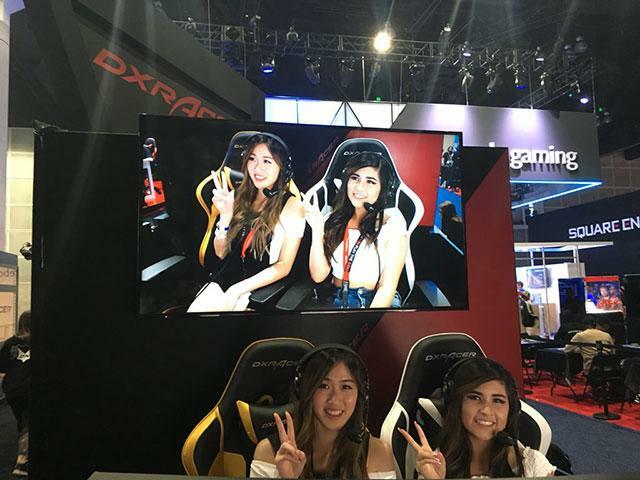 When I was first getting into streaming, I was most inspired by Fuslie, xChocoBars, and Pokimane. Currently, I'm inspired by watching the friends that I've made through streaming, especially YourPrincess and JasmineMilkTea. My hobbies include working on graphic design and video editing. I love making aesthetic overlays and panels for other people! I'm currently working on launching my own first ever merchandise shop! I'm really excited to show my community the items that I've been working on. I'm always striving to improve my stream and build my community, as those are the things that I'm most passionate about. So look forward to getting entertained more and more, and different kinds of content-- like collaborations and challenges-- coming up!